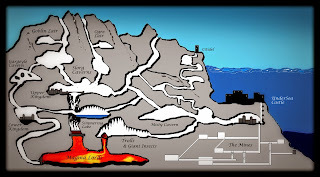 As a follow up on my original post regarding the problem with beautiful maps, and as an addition to a thread I am participating in on google+ on Combat Map Scaling, I want to jot down an overview of the types of RPG maps that people generally deal with for those who may be new to the game. It seems to me that there's several uses for maps, and each type of use creates its own requirements for how the map should be created. Please note: I am going to include a series of maps at the bottom of this post that may be spoilers for some of my players. If you are one of my players and do not want to be spoiled, and you shouldn't, then do not look past the spoiler alert. For everyone else, please enjoy the maps selection as they demonstrate the various kinds of maps I will be discussing. World Maps can include entire worlds (or star systems), or parts of them, and show distances, avenues and barriers and key points of interest. 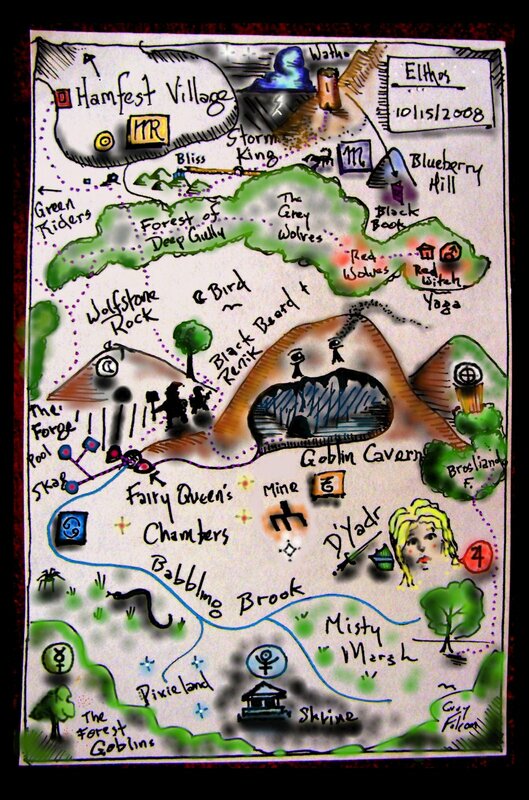 Less commonly, maps can show story elements (I like this kind of map and call them Story Maps), main characters, symbols representing themes, and so on. 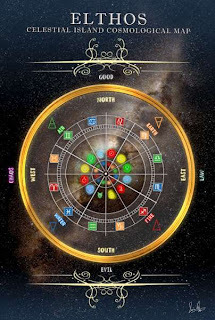 There are also Cosmological Maps, which may show the metaphysical or cosmic scale aspects of a World, including Deities and their relationships to one another, planes of existence and dimensions among other things, of which there have been any number published over the years. 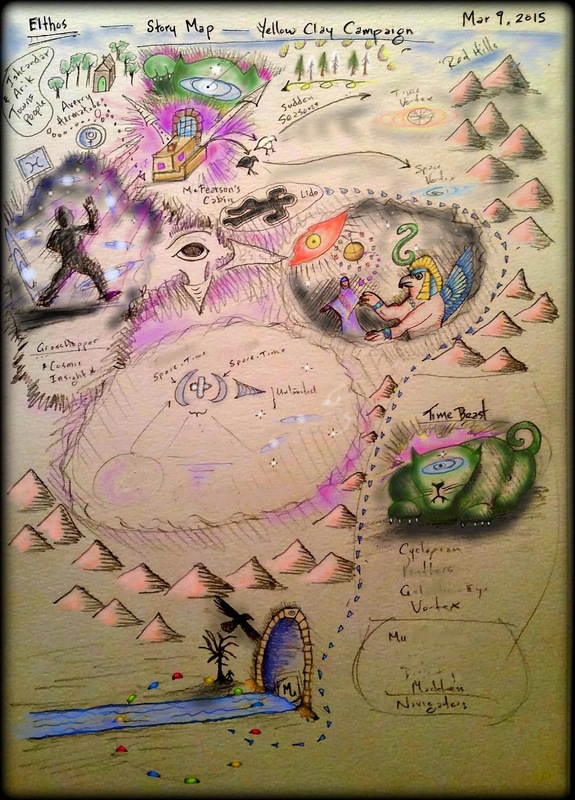 And lastly I have Concept Maps that show aspects of the world that may represent inner symbolism or relationships between non-physical things, such as Alignment & Political Doctrines. 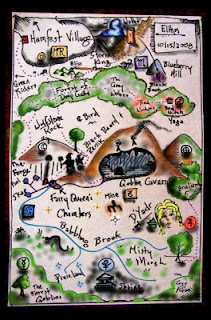 GameMaster maps contain GM secrets which are simply things that the Players and their Characters do not know. 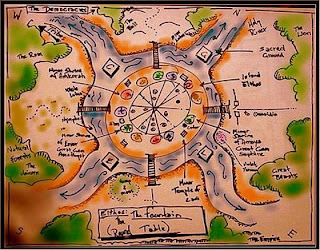 These are not maps that are used for combat, and players typically do not see these maps. Should these maps be beautified by the GM? That's a debatable question. Given we only have so much time in a week, and game prep takes a lot of time, beautifying maps that only the GM will see could be considered wasteful. On the other hand, a true craftsman will want to beautify anything that they work on and turn it into a work of art, regardless of whether or not they are the only person who sees it. On these maps things do not necessarily need to be to scale. 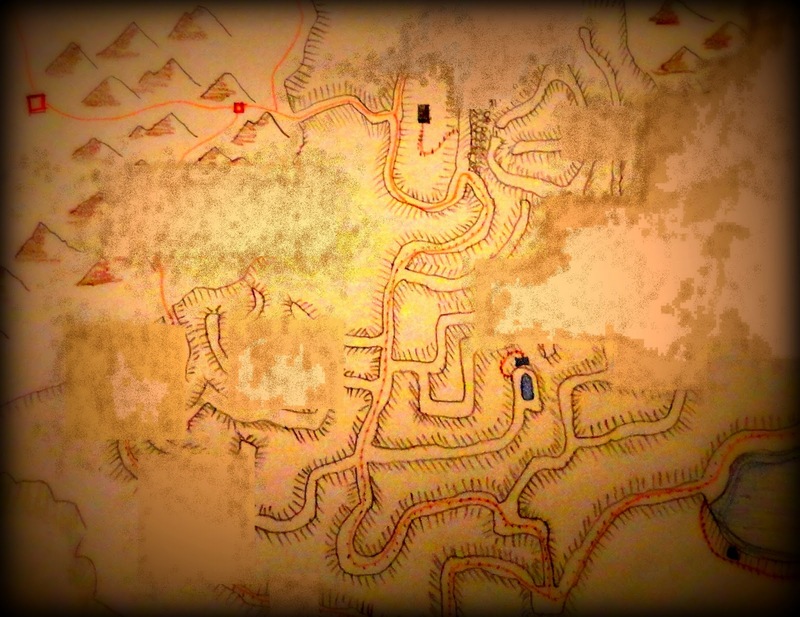 The GM's dungeon map (or wilderness) is a very detailed view of the tactical layout of a given area, revealing various secrets such as traps, secret doors, and where the various monsters and factions of the dungeon are located. The GM does not show these maps to the players (usually). They may or may not be beautified. They should be to scale. 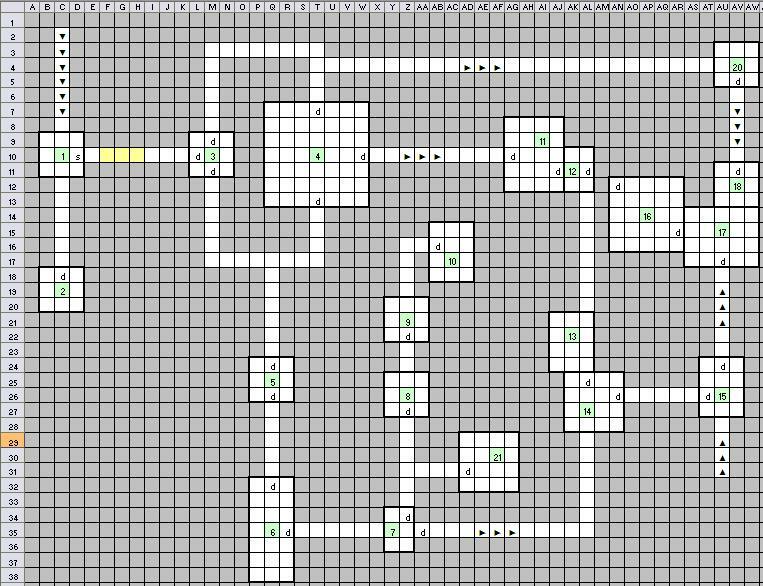 They can also take a number of forms but the most common is the top down viewpoint map, where you are looking at a blue print of each dungeon level. 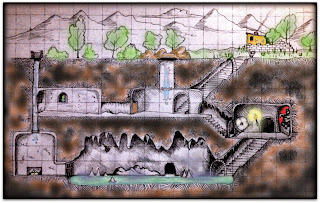 Another style is the oblique projection map which shows the dungeon from an angle so that you can see the three dimensional depth and get an understanding of the relationships between the various levels of the map. These maps are fun, but can not be used as combat maps easily (as miniatures would have a hard time fitting on such a map). 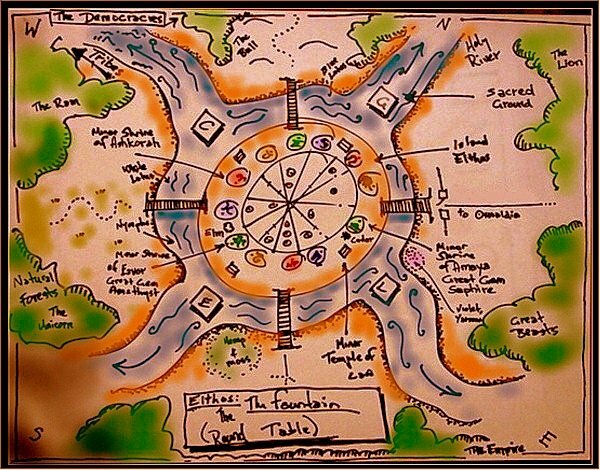 These can also be maps of Worlds as well, but will not have GM secrets on them. These maps should be beautified by the GM (or whomever makes them). They are not combat maps. They are not necessarily to scale. They do not necessarily even show what is truly out there. These maps might come to the Player Characters via a merchant, an adventure guild library, or discovered during the course of an adventure. Or they may not be maps that the Player Characters have, but simply ones that the GM shows to the Players themselves because their Characters happen to know the region well enough to see it on a map. 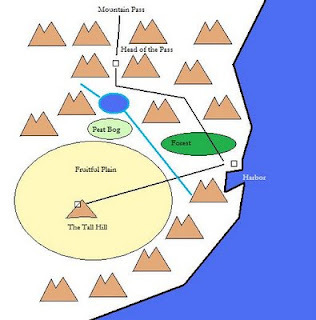 Often these maps are used to help players understand where places are in relation to each other so they can plan expeditions, or consider factors such as kingdom boundaries, trade routes, or where wilderness happens to be located. 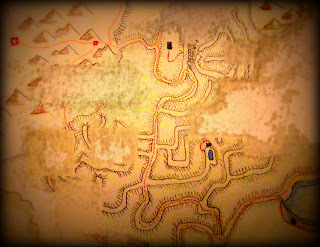 Then there are Dungeon Maps (which should be distinguished from Combat Maps as they are not quite the same thing, and serve a different purpose). These usually are drawn on graph paper and show the layout of the levels of a dungeon. They can be paper maps that the players look at over the GM's shoulder. 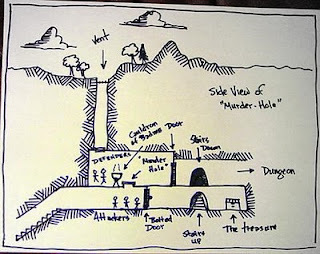 They can be maps that they themselves draw based on the GM's description (in the old days this was how everyone did it, and I'm not exactly sure when or why this changed). 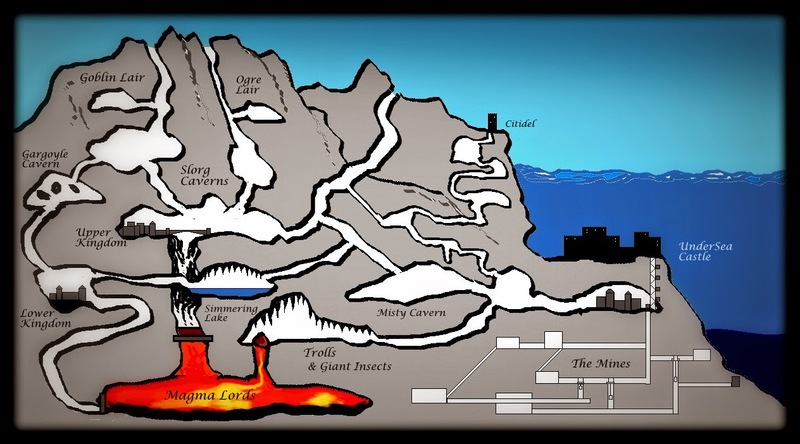 The GM may use this as the sole map for a dungeon, describing it verbally to the players during the game while their Characters explore the thing. 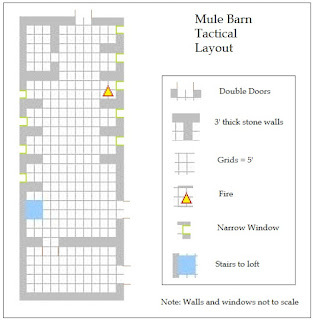 As such the GM description might be something like "You're Characters are heading West down a ten foot wide corridor made of gray stone blocks. They can see by the torchlight into the darkness ahead about 40 feet and up ahead the leading thief spots a wooden door on the North wall of the corridor. What do you do?" 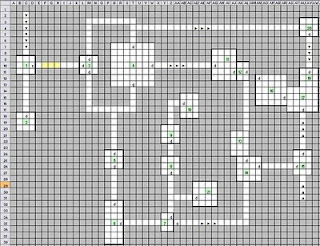 Then the player who is designated as the mapper would be drawing what he hears on a piece of graph paper to keep track. Not all parties designated a mapper. Many of those parties got lost in the dungeon and never found their way out. After that most parties had a designated mapper. 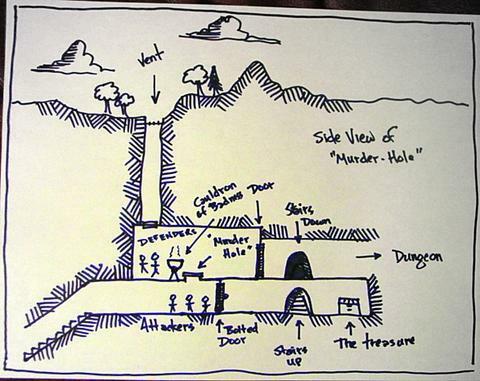 Player drawn dungeon maps, by the way, are often wrong. This is used to simulate the idea that when in a dungeon it's relatively easy to get lost in the maze. So the party usually relied on the mapper to get it right, and as often as not, they failed somewhere along the line. That said, it is not necessarily the case that the failure is noticed by the Players for quite some time, even in some cases taking years before the issue becomes apparent and the disaster of being lost down the wrong corridor becomes a serious problem. I've seen that happen. Also notable is that Player maps are rarely beautiful, and quite often rather ugly affairs, scrawled in the heat of play, and barely serviceable beyond the rudimentary function of showing the way back out. Then there are Combat Maps which should definitely be to scale, often show only small section of an area and are specifically used with miniatures or tokens representing Characters and their foes. The combat map is used to keep track of exact distances so that movement and attack ranges can be properly and accurately determined. They may or may not be beautified, and can take any number of forms. There's the standard large grid map where the squares are one inch, and the GM draws the dungeon as lines on the map. I often use this style. Then there's the table top diorama map where the dungeon is build out of plastic pieces or some such, and shows the exact layout of the dungeon in 3D. These are often quite handsome. They also serve as battle maps, and are probably the oldest form of battle map in the hobby, as they come directly out of the game Chainmail which predates the original D&D. 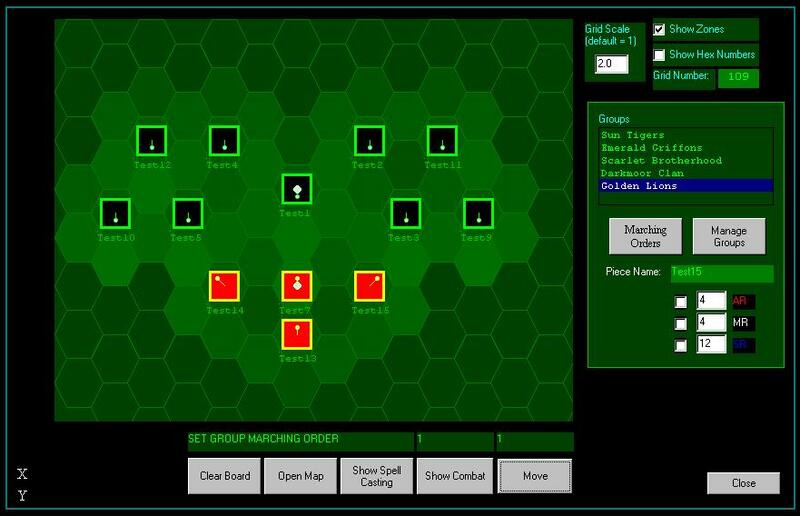 Lastly on my list are virtual combat maps, which are becoming more popular these days as you can share them over the web via interfaces such as Roll20. Again these maps can be beautiful or not depending on the GM's inclination, talent and time. These maps should always be to scale. Over the past few days a few of us have been discussing the pros and cons, and ups and downs, bright sides and dark sides of the Indie RPG Book Publishing industry. You can find the full conversation here: Original Thread on G+. 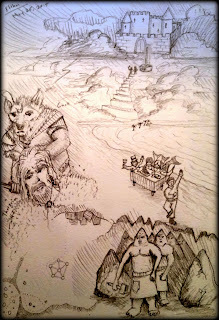 What follows is my summary and the conclusions that I've drawn thus far. I'd be curious to hear what you think. At the end of the day what really matters? That's the question. I think a lot of people who read this thread might come away with the feeling that I'm pretty gloom and doom about the Indie RPG Book Publishing industry. And that's a fair take on it, frankly. As an industry I think it's really problematic. In summery there are two reasons for that. 1) There is already a massive glut in the market of RPG Books, and most of those are minor innovations on previously existing systems. 2) The glut has produced a downward spiral in terms of pricing, and this has a deleterious effect on everyone in the industry, not just the people who are pricing at zero or Pay-What-You-Want. The fact that this option has become so prevalent that DriveThruRPG has created a special button for it suggests that the state of the industry is such that negligible price points have become the prevailing expectation for Indie Games. And what this does is make the entire effort (and it is massive) to produce an Indie RPG completely worthless monetarily speaking. And in fact, most Indie Publishers who have been through the ringer will tell you - don't expect to quit your day job doing this. There's 1500 RPG titles out on DriveThruRPG now, and that number is growing by about 10 a month. You are far more likely to lose money at this than make money. So where is the bright spot in all of this? Actually, I see several. 1) The drive towards negligible price points will weed out those who are in this for the wrong reasons. If you are in this for money, you will be disappointed and probably not do it again. 2) Those who are in this for the love of the art will still proceed to produce wonderful RPGs because it is easier now than ever before, and that's cool. 3) Since it's hard to imagine completely original rules systems for RPGs given the plethora of systems out there we can probably be satisfied to know that most likely if we have a vision of a way to run an RPG that works best for us, there are probably rules out there that do it that way (or close enough for us to reasonably easily house rule), and so we don't have to invent new wheels. There's lots and lots of wheels rolling around. The upshot for Indie RPG Rules Book Publishers is this ... you will probably lose money at it, but if you don't care about that, and are doing this for the love of the art, then you will likely be satisfied in the end. You will learn a lot, hone your own game down to a fine system through play testing up the wazzu, you create enthusiasm for your efforts among your friends and acquaintances, you wind up with a really spiffy rules book that looks fabulous and you're genuinely proud of, and you'll have shared it out the world and maybe there will be 200 people out there who downloaded it, and 20 of those who actually paid for it, and of that maybe you'll get 5 or 10 people who play your rules system, enjoy it, and write to you about it saying Thanks, and offering their viewpoint on it. Which is actually pretty awesome. Maybe all of that will cost you a lot of time and some money (to get the artwork and layout and stuff). But hobbies always cost people money. That's normal and who cares? The only people likely to come away disappointed are those who are in this to try and make a career out of publishing their Indie Rules Books. That is unlikely to happen at this point, and for those people the effort, time and cost will not be compensated for by a few people saying "that's cool, thanks." But for the RPG Artistes who simply enjoy the process of honing and working on creating a quality game for themselves and a few friends and handful of strangers, and don't mind spending some money on it, it's a wonderful time indeed to be alive. Never before have we had such a fantastic opportunity to create high quality work at such a low cost. We should revel in it. But for Pete's sake... don't expect to quit your day job. At least for now. My final note on this (probably not final, come to think of it) is this ... I believe the future of RPGs as a form of entertainment in the 21st Century is bright. There will come GM assistance tools, and all kinds of amazing technologies that will make GMing easier... and potentially profitable. 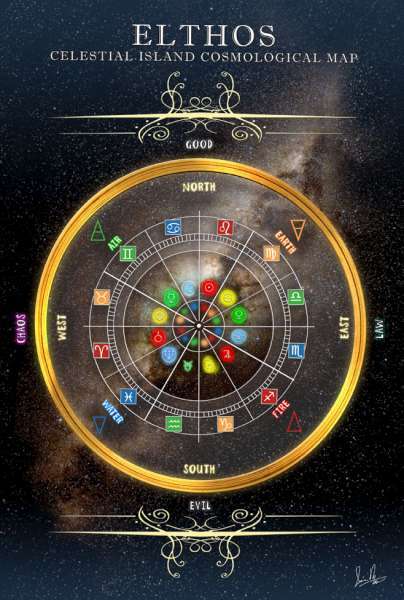 And though creating new Rules Systems may not be a promising area of endeavor as there is already a glut of those, the area of promise is in creating settings and honing one's skills as a GM to play those settings with fantastic creativity and style. And if I don't miss my guess in the coming years we will find out that _that_ is where the money is. 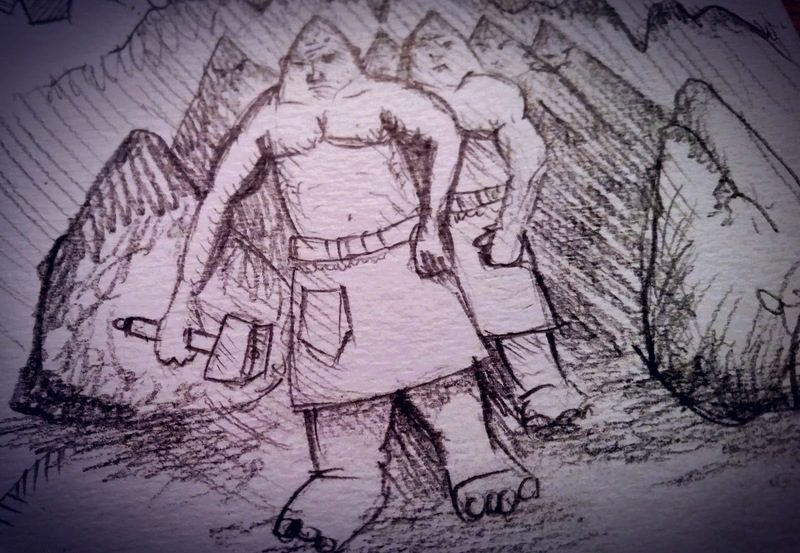 When the Strange looking Workmen Singing a Tunnel Song Came Marching Up From the Deep. As this pertains to RPGs and the subject of medieval fantasy, I'm curious as to what other role players out there think of this? In my world I have not actually explored this point of view all that much, but have hinted at it from time to time. My players tend to be rural hicks or low class city dwellers out for adventure. 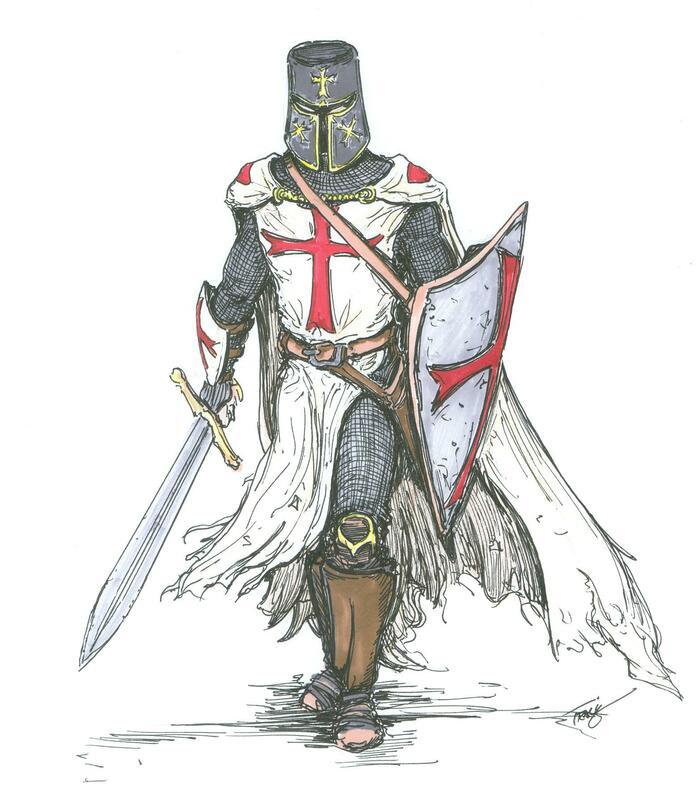 Even so, at least a few of them have noble aspirations, and so they fit in with the chivalric ideal to some degree. But the complex and intricate world of Noblesse Oblige is one that I plan to get into eventually. 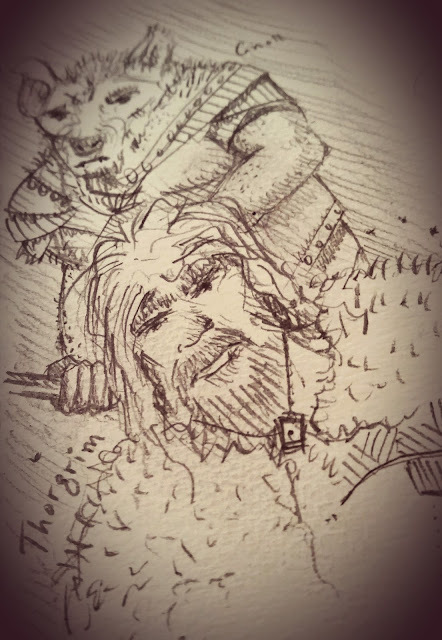 Perhaps as my player's characters advance themselves in society (which they do tend to do over time) they will run into the world of Chivalry and find out more about it. I suspect they will be surprised at (my vision of) the characteristics of that world, and how nobility actually functions. It is not the World of the Powerful lording it over the weak. It is a more idealized world of Defenders of the Good protecting the innocent from the predations of the evil. Something, perhaps, our own world today might benefit from doing a little more of, possibly. 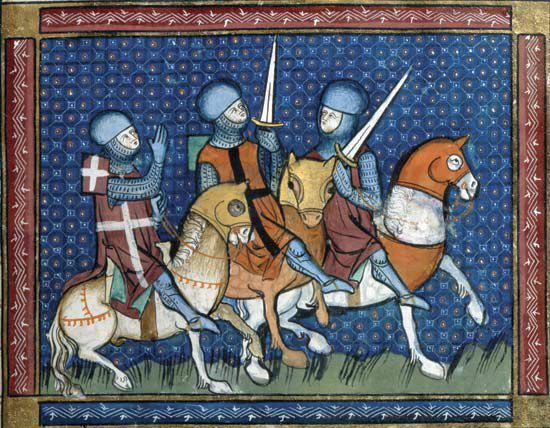 Anyway, many learned people I suspect will disagree and advance the theory that the Medieval World was essentially no different than our own, and that the Knights and Kings were simply fleecing the poor and downtrodden because, after all, that's what the Dark Ages was all about. Maybe. I don't think so, but I'm willing to admit it's possible. But not in my World. How about in yours? Do you play a medieval fantasy campaign? And if so, how do you express ideas of Chivalry? Or do you not? Very curious how others handle this question! Richard Stephens - I think you kind of hit on the crux of the issue in my mind. 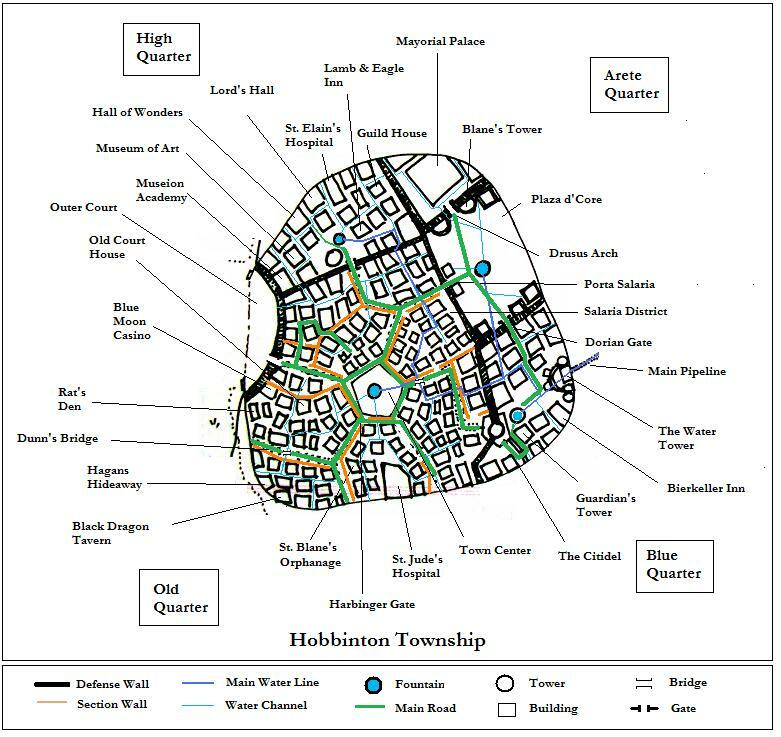 When we first started GMing back in 1978 that is exactly what our point of view was in my town. All of us GMs had the same attitude about it, and we all pretty much played it the same way. Later on things evolved. But in the beginning, I didn't even tell my players what their stats were or even what the exact rules of my homebrew rpg were. 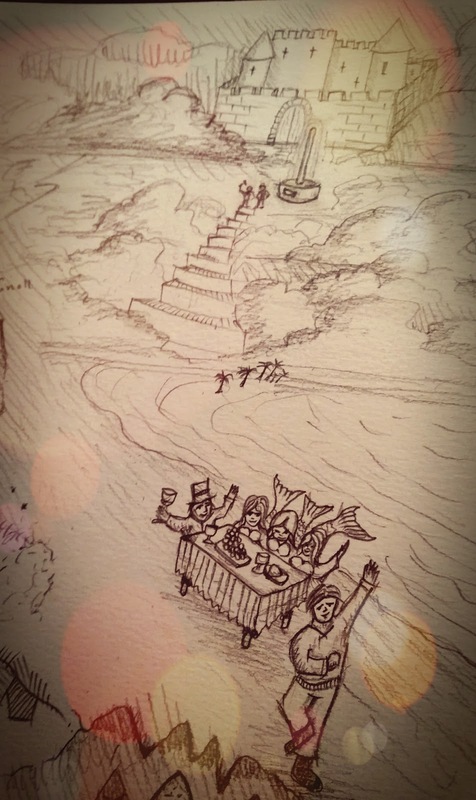 The reason for that was because we GMs collectively decided that it was better for the players not to know the mechanical details, as that information tended to draw them out of their characters and into a game-oriented frame of mind, but we believed that the purpose of the thing was to get immersed in someone else's world. The mechanics could only inhibit that immersion. So we had our reasons, and I won't say they were bad reasons. It was our style in that era, and we played it for all it was worth. But things changed. 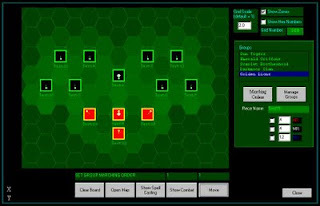 Later, in the late 80's and 90's I decided that the players were at a tactical disadvantage by not knowing the tactical rules. 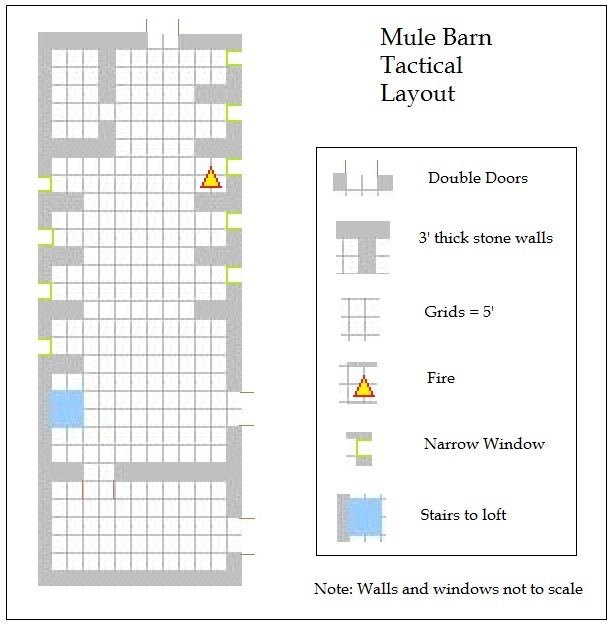 I began using battle maps to show them where their characters were and told them their movement allocation. We played that style for about 5 years, and then I made another evolutionary shift. I decided to give the Players their characters stats, and explained the rules to them. This was so that they could make more intelligent decisions regarding their character's tactical maneuvers. While this definitely made them more efficient and effective as players, and their Characters had a much better chance of survival in terms of the calculated odds, it did in fact manage to detract from the immersion. When I noticed this effect I decided the immersion aspect is important enough to focus on. So I deliberately established a Descriptive Narration style where I would go very light on stats information in-game, and describe things according to what the Characters know from their own senses. Gone were the "You did 5 points of damage to the kobold" and in came "The wretch with the glassy eyes cries out, a hellish gash spurting blood on his right arm". During these different phases of my GM style I held different philosophies about how to use the dice. At first they were there for me to use as a guide. I didn't cheat my players though. I played according to my homebrew rules, and I distinctly played according to the dice. And PCs died. Quite a lot, actually. Then in the next phase with the tactical combat, I let the Players roll their own attacks, and that was done above board, but I rolled for the NPCs and that was behind the screen. I didn't cheat the players, though. 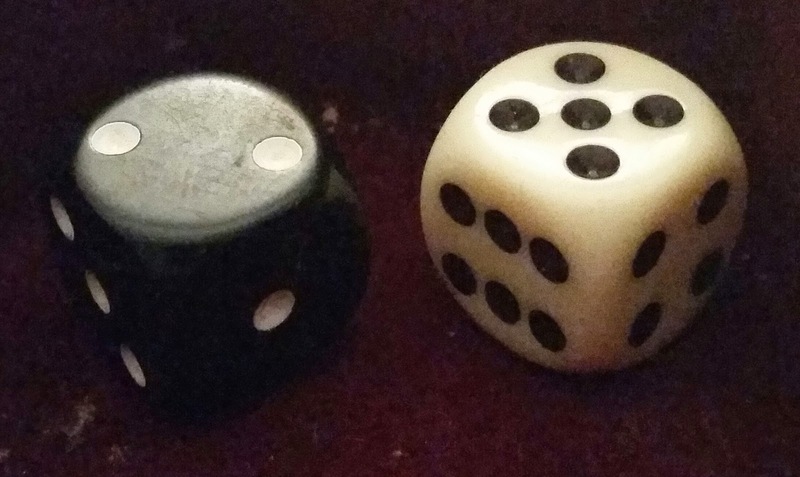 I simply kept the dice behind the screen because that was my habit from the prior era, and I felt that it kept the suspense high. Now, in the current era, I am rolling everything above board, and I let the players know the stats of the monsters. They help me adjudicate the action and make sure that the rules make sense and are working. Of course, this era has been a big play test of my revised mini-system, and that's why I made that particular change. But over time I found that I rather liked the effect. So long as I keep the players immersed in my world via Narrative Descriptions I don't think they mind having the immersion interrupted by tactical combat. We just go in, and go out of the immersion on the basis of the kind of scene that is unfolding. It feels quite natural at this point. So yeah, I definitely hear ya. I just think there are other modalities and ways of doing things that are just as valid, and just as fun.